Abstract: The thesis discusses the application of transactional analysis (TA) in the field of marketing research. In its theoretical construct it focuses on linking the marketing communication hierarchy of effects models with structural analysis of TA. It points out one of the possible interpretative frameworks that explains the behaviour of target groups and their response to marketing stimuli that take place on a psychological level. Through mapping the activation of mental states of Ego (Parent, Adult, Child) it reflects the aspects of the reception and processing of marketing communications initiatives as well as decision-making process that can result in the purchase of promoted products or services. Abstrakt: Príspevok pojednáva o aplikácii transakčnej analýzy (TA) do oblasti marketingového výskumu. Vo svojom teoretickom konštrukte sa sústreďuje na prepojenie modelov hierarchie efektov marketingovej komunikácie so štrukturálnou analýzou TA. Poukazuje na jeden z možných interpretačných rámcov, ktorý vysvetľuje správanie cieľových skupín a ich reakciu na marketingové stimuly, ktoré prebiehajú na psychologickej úrovni. Prostredníctvom mapovania aktivácie mentálnych stavov Ega (Rodič, Dospelý, Dieťa) odráža aspekty prijímania a spracovania marketingovo komunikačných podnetov ako i rozhodovací proces vyúsťujúci do realizácie nákupu propagovaných produktov či služieb. The current concept of modern marketing is becoming more strategic in nature, the essence of which is the orientation towards a customer. Just as high quality communication is important in building and maintaining any relationship, communication with current and potential customer is becoming a key element for a company. Marketing communication as a marketing tool therefore takes a central position, which is according to Hradiská and Letovancová (2005, p. 21): a set of directly interacting activities of a mass, group and interpersonal character, designed to achieve changes in the knowledge, attitudes and behaviour of the target group in relation to a certain product ". It is a process of providing information on a manufacturer's specific product to the customer. Communication in the philosophy of marketing means, on the one hand, to acquaint customers about a given item or service, inquire about their characteristics, highlight their utility value, usefulness as well as use while, one the other hand to also know how to listen and respond to stimuli and consumer requirements (Foret, Světlík, 2014, Koprda. 2015). Many communication benefits for increasing the effectiveness of marketing communication programs can be obtained if we consider the way how the customer responds to marketing communication. One of the classical views of how customers will react, receive and process information provided by marketing communication, is clarified by the hierarchy of effects models. The fact that the multidisciplinarity of marketing communication requires drawing from multiple social-scientific areas, can be seen in a new trend, which is the integration of the theory of transactional analysis in marketing communication research. Transactional analysis (TA) is originally a psychotherapeutic, leaning towards profiling, approach from the mid-1950s. Its founder, Eric Berne, is a Californian professor and psychiatrist, who focused on group psychotherapy. By definition ITTA (The International Transactional Analysis Association), TA is the theory of personality and communication. In terms of genesis we may, according to Dusay (In: Ridgway, 2006) describe four stages of its development: In the first phase (1955-1962) Berne identified a tripartite of ego states (Parent, Adult, Child), which provided perspective in the explanation of the thinking, feeling and behaviour of human individuality. He initiated the way how to study personality through observable criteria of the phenomenon “here and now", which is transformed into the client's voice, gestures or his vocabulary. The second phase (1962-1966) focused on the elaboration of functional analysis and game theory. The focus is on the interaction process of latent and apparent communication going on at the level of individual Ego states. During this period TA records a rise, simplicity of vocabulary becomes socially popular, and implies a cognitive approach, where there is little attention to emotions. The third phase (1966-1970) can be described as a stage of formulating of “environmental scenario ". The concept of an internal plan, which determines the direction of an individual's life is terminologically identified as the theory of scenarios, where the emphasis is on emotionality stemming from the Child Ego state. This phase, identified as a key to the initiation of real change, has been interpreted through verbal folk tales or Greek mythology. The fourth phase (1970 to present) is characterized by incorporating new technologies into practice TA. Elaboration of the egogram system by Dussay, in 1977, offers a realistic picture of the energy level of intensity of relevant Ego states with the continuity of application of the whole concept of TA in several social areas outside of psychology. Due to its use in a variety of social-scientific sectors we believe Corey´s opinion (2007), that the TA currently doesn't exist in only one form, but is modified for the needs of applications in various areas (education, social counselling, marketing). 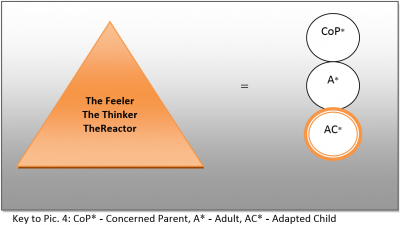 The initial concept for the interpretive framework linking TA with the hierarchy of effects models has become the so-called structural analysis – the theory of personality, that, in correlation with marketing communication, offers a deeper insight into the reaction of different segments of customer while making a purchase decision. Communication with the customer has, in recent decades, seen dynamic development leaving the current form of marketing communication to be modified by two main factors. The first one is the fact that marketers are moving away from mass marketing to segmental marketing, the aim of which is building a more intensive relationship with a defined group of customers. The second factor is the scientific advance in the field of information technology accelerating the transition to segmental marketing. Today's information technology thus helps marketers to monitor the needs of customers, so they have a lot more information about them at the level of individuals or households (Kotler, Keller, 2007, Lincényi et al., 2011, Kiková, 2014). Both elements listed increase demands on the efficiency of marketing communication as a process, in which the sender and the recipient still play an important role. It is very difficult to predict how customers will respond to the offer and how they will receive and process new information that comes to them, because customer reactions are affected by social, psychological and cultural aspects (Mandelíková, 2014, Bačíková, 2015, Kubaľaková, 2015). With regards to the aforementioned communication process, it entails potential ,,pitfalls”, difficulties, misunderstandings, which is reflected in in a greater intensity of non-verbal behaviour, nuances and subtle differences. Several authors (Fandelová, Džupina, 2013, Janková, 2014) therefore point out that important and powerful forces originating from this interaction are based on internal events that are transformed into the act of communication. In their works they refer to the theory (among others also the important theory of TA), which would make it possible to understand the current mental state, motivational factors, consciousness, as well as prediction of customers behaviour Understanding the general basics of the mutual interaction in the interaction process therefore requires knowledge of the structure of personality, since difficult internal reactions of a customer are indirectly, externally manifested. TA is based on the premise that the human personality is structured into three mutually separated states of Ego. Each individual can, therefore, at any moment manifest the Parent, Adult or Child mentality, while he/she is also capable, in varying degrees of readiness and fluidity, to move from one state of Ego to another (Berne, 2012). Each customer is therefore capable of acting in three individual, internally coherent structures, which have different motivational ranges, ways of thinking as well as patterns of behaviour, and, yet, still have a tendency to work together as one unit. 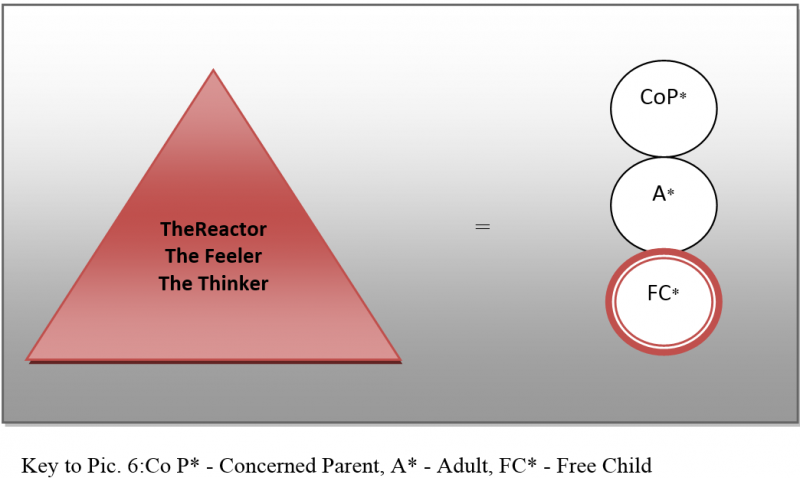 Study of the “tripartite" of Ego statuses of the Parents (P), Adults (A) and Child (C) is called structural analysis. Parent Ego state (P) - is based on observations of models of our parents or other authorities expressed behavious, which is embedded in our memory during the first 4 - 6 years of life. 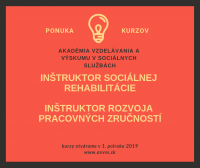 These so called ,, internal records" represent a large set of rooted behaviours, norms, values, rules, warnings, as well as principles of how to live, assessment of what is good and what is bad, what is acceptable and what is not (Zacharovský, Žilinčík, 1992). 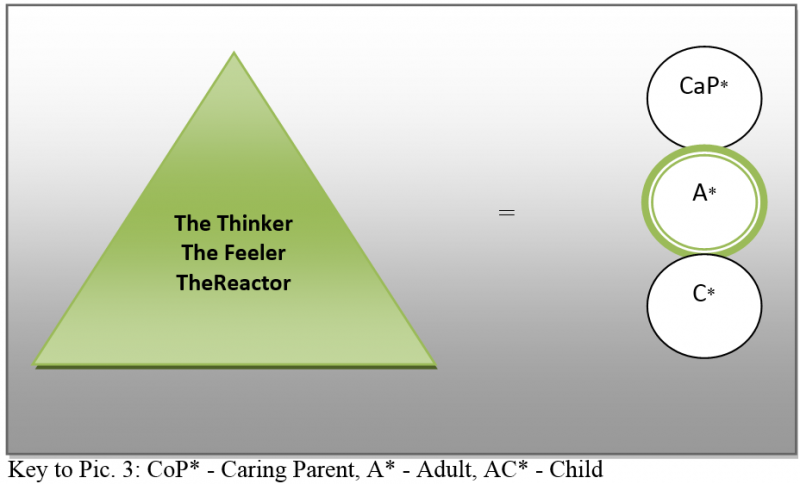 The Parent Ego state can be differentiated into two parts: Critical Parent and Concerned Parent. Critical Parent is the part that sets limits, induces discipline, evaluates us and criticizes others, passes judgements... In this context it wields its authority - acquires a normative nature and, in practice, a moralizing attitude, which generally causes negative connotations. The Concerned Parent is inversely a source of protection. It gives permission, supports us and others, allows us to grow and develop, cherishes and protects (Berne, 2011). The Adult Ego state (A) – is the logically and rationally thinking part of our personality. Some authors compare it to a computer, because it collects, analyzes and evaluates information from the external as well as the internal world, considers options and makes decisions (White, 2000 Hargaden, Sills, 2002 In: Steiner, 2006). While solving problems, it selects the best alternatives based on complete pragmatism, with a subsequent planning of steps throughout the decision-making process. The Child Ego state (C) – is represented by emotions and feelings that we absorb during contact with the outside world in early childhood, which are associated with specific external events. Generally a Child's behaviour is impulsive, committed to direct stimuli, irrational, however, it is also a source of spontaneity, humour, fun and creativity (Berne, 2012). It can be differentiated into two components: a Free Child and the Adapted Child. Free Child represents our nature that we have when we are born. During this time, we are natural, loving, carefree, adventurous and trusting. It is the source of our will, the „motor“ for our effort and creativity (Zacharovský, Žilinčík, 1992). Adapted Child displays the ways of behaviour (begging, promising, whining, huffing), that we have acquired later in order to keep favour or attention of parental figures or other authorities in the direct consequence of our environment (Harris,1997). The above mentioned mental states of Ego can not be radicalised to strictly negative or positive concepts of personality. No set of symptoms (Table 1), which is a part of this tripartite, is clearly good or bad, as Nagyová states (1999, p. 159): “it depends - as always - on the situation". All Ego states are legitimate, forming a consistent whole of the personality of the individual, and it is important that they be adequately activated in their polarity in a situational context. 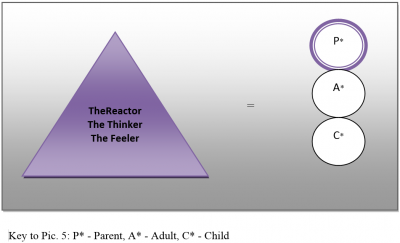 Balanced use of the individual components of personality in the interaction process has become the central paradigm . Words good/bad, should/should not, must/must not, always/never, right/wrong, You should do it like I do it, I want you to..., You can´t, Cheer up!, Don´t be fresh!, I´m sorry, Don´t you dare!, Don´t worry, I´m taking it, I really mean it with you comparable, practical, likely, possible, unknown, interesting, Who?, Why?, When?, How?, How many/much?, I think that, In my opinion, I understand that... Interjections, corruptions, diminutives, superlatives, I want/don´t want, I can´t, I believe, I feel, That´s beautiful!, I will do as I please, That´s weird, I´m afraid!, I´m better! That´s the best, best, best...!, Do not tell me!, I´m a big boy!, What can I do by myself!? Differentiating Ego states is essential in each of the initiated interaction processes, in which marketing communication focusing on a customer may be included. The process is based on communication stimulus and reaction, and is dependent on the fact which Ego state is in the dominant activity. a phase of negotiation, proceedings (conative, behavioural - en. do). According to Hradiská and Letovancová (2005) marketing communication leads to changes in the mental processes of the customer. In the context of TA the phases mentioned above are reflected in genealogical series, the essence of which is a transition to activate the individual mental states – of Parent, Adult, Child in a dominant position. During the cognitive phase, customers become acquainted with the information that forms their knowledge about the presented product or service offered. At first glance, it might appear that at this stage the Ego state of Adult is activated, but, in fact, we should be talking about the Ego state of Parent. The information that a customer primarily collects, is searched for in his/her mind, thus the so-called parental recordings become an internal source of information. Past experience with the product or service that is included in these „recordings“, we can, according to Schiffman and Kanuk (2004) call “an internal source of information". The greater the fixation on them is, the less the customer will seek external information. It is necessary to note that this operationalism is affected by the rate of perceived risk. In highly risky situations, the customer will approach the purchase, respectively to the actual response to marketing communication, with a more complex amount of information that he/she will also search and evaluate through external sources. In this case, the process of information-gathering will be more consistent, while, by confronting the past experience, it will also acquire an objective character. The processing and evaluation of acquired information will therefore be associated with the Ego state of Adult. The second phase of the response on marketing communication takes into account the emotional level. At this stage the customer associates the product or service with feelings and emotions. The mental condition that is initialized during this process, is the Ego state of Child. If the communication stimulus retrospectively binds with positive feelings or emotions in relation to the product, the level of impulsiveness to accede to the purchase will achieve an ascending character, or, in the opposite case, a declining character. The last phase of the response to marketing communication is the procedure itself. In this context, we can say that the customer, through communication incentives, has been encouraged to interact with the individual components of his/her personality on a mental level. 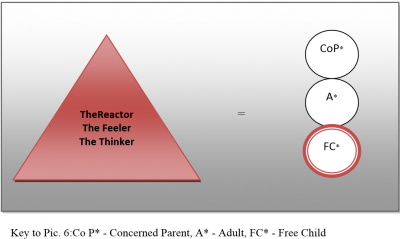 By transformation of the past experience of the Ego state of Adult and emotional set included in the Ego state of Child the adequate amount of information has been given to the Ego state of Adult, which rationalizes the decision to respond to marketing communication on a conscious level, which is then reflected in the customer's behaviour. The result of this process of a response to marketing communication becomes, according to E. Bern (In: Schlegel, 2007), transactional analysis by “Actionist method". Most of the aforementioned models have explained the process of customer response to marketing communication in a simplified linear and sequential way. Opinion bias which consists of ignoring the variables or factors that could change the process of marketing communication as well as the understanding that customer behaviour is conscious, stable and largely rational, has led to criticism from the ranks of marketing theorists (Hanekom, Barker, 2009). By implication of structural analysis paradigm we can conclude that by this unification of a customer's behaviour, his/her actual decision-making autonomy has not been taken into account. Cramphorn (2006) states that we can intuitively assume that the decision-making process of purchasing different product types/categories transits through various emotional-mental trajectories. With this assumption testing of one selected trajectory is, in advance, doomed to failure, i. e. To statistically insignificant parameters in any model, which would originate from a group of data coming from all the product types/categories. Cramphorn sees the only decisive variable in any test model as a long-term and stable emotion to the brand (brand - feeling), which explains the 68% - 72% variation in the purchasing intention when testing on different types of models. In the conclusion of the study he formulates a recommendation to focus the objectives of the new marketing strategy on the communication brief, or how to leave the target group with the maximum brand – feeling. In the context of TA, this means greater consistency of the marketing communication stimulus with the mental state of Ego, which is dominant in the target customer segment. The emotional impulsiveness alluded to by Cramphorn should therefore be transformed into a structural tripartite framework. A major step forward in the research of modelling the effect of the processes of customer oriented marketing communication was finding that the components of the models of hierarchy effects might not be active only in one sequence, but just the opposite, in an optional – modified sequence. This means we should not talk about the hierarchy of effects, but rather a cycle. The role of a marketing staff as well as designers of communication activities is to determine, where in the cycle the communication appeal to a customer to act, begins and in what order the individual components of the cycle occur (Desmond Minh Hou, Stewart, 2002). The thesis about the cycle of hierarchical models can be developed into combinations (Table 2), corresponding to different situations of the decision-making process in relation to the impact of marketing communication on a customer. One of them is also the modification applied in the so-called FCB model, by linking the structural analysis provides a deeper analogy of the response to marketing communication. The model, Foot Cone-Belding (FCB) was designed by R. Vaughn and researchers from an advertising agency of the same name in 1986. The FCB grid concept is the centre and a fundamental starting point for the analysis of models of marketing communications production because of its ability to integrate different sequential models into a single analytical whole. 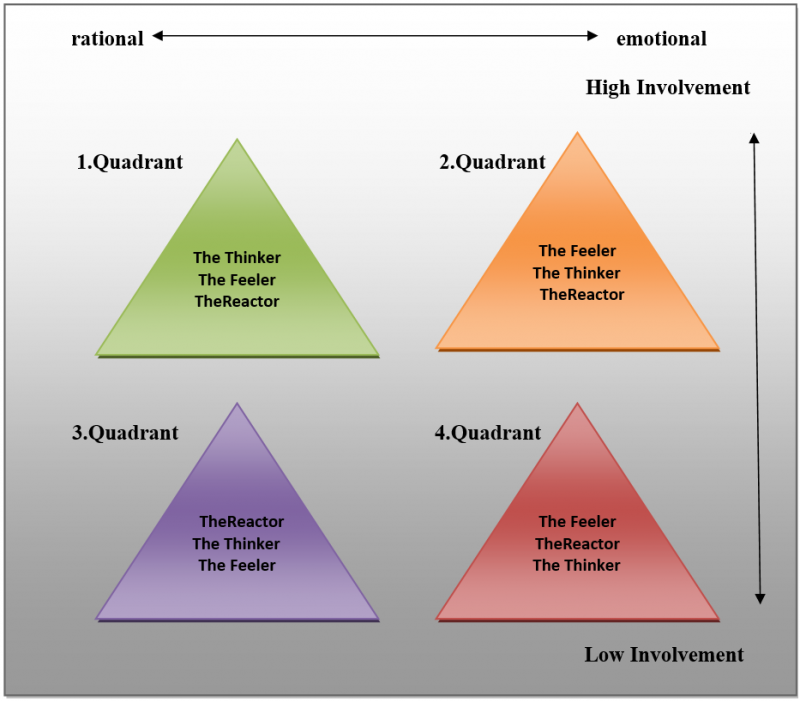 The model distinguishes two dimensions:, ,I think – I feel” and “big - little interest, involvement" in the four situational quadrants. Interest, involvement was defined by De Pelsmacker et al. (2003, p. 90) as ,,the importance which a customer assigns to the product and the importance of buying and the level of perceived risk associated with possible wrong brand choice”. The I think - I feel dimension is the equilibrium format, in which the decision itself is taking place, according to perception and feeling. It is this dimension that captures, in terms of the structural analysis, the degree of dominance of the Ego state of Adult (I think) and Child (I feel) within the customer. The FCB model (Pic. 2) proposes conducting a communication strategy depending on two levels, the implications of the target group of customers (strong - weak implication) on the vertical axis and the type of benefits that a given category of products brings (rational - emotional benefit) on the horizontal axis. According to Barry (In: Yoo, et al. 2004, p. 1) “the model, due to its simplicity and logic, provides information about where they should focus marketing strategy and how to plan it, because the model works as a conceptual tool for predicting customer behaviour”. The FCB grid allows for the derivation of four typical situations related to four types of products, while by joining with structural analysis, it more consistently reflects the parallelism of a customer´s behaviour. Through the graphical visualization relating to each quadrant we can view the degree of dominance of the tripartite of Ego states. 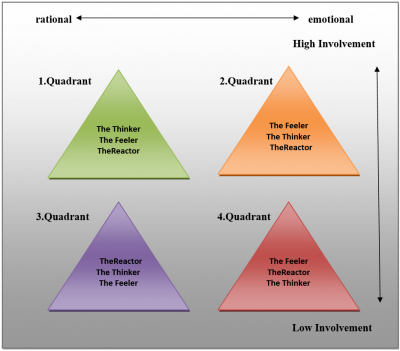 The first quadrant is characterized by great interest and rational decision-making criterion. Product information becomes paramount to the customer. This group might include, for example loans from banking entities, purchase of computer technology and household appliances. It is a purchase interconnected with a strong implication that requires rational information and calculations (De Pelsmacker, et al., 2003). The dominant position, in terms of structural analysis, is acquired by the Ego state of Adult (Fig. 3). The customer gathers all the relevant information through this state, upon which he/she responds to marketing communications and thus mobilizing purchasing activities. Orderly, analytically without contamination of emotional component the consumer deals with the acquired datasets, thus his/her decision is ultimately made on the basis of logic. In the background of this Ego state, the dominance of the Ego state of Caring Parent is in the second position. By his/her caring attitude the consumer shows his/her support and, with adequate consideration, responds to the marketing communication stimulus, also taking into account the perceived risk. In this context, can we talk about the so-called. disciplining Parent since positive motivation consists of empathetic challenges of a supporting nature while maintaining autonomy in the decision-making process. In the second quadrant great interest is noticeable again, but does not require the mobilization of a large number of calculations or rational analysis. In this case, the customer's is primarily concerned with the product brand, then the process of collecting information is initiated, which ultimately leads to a purchase. Typical products falling into this category are jewellery, perfumes and summer vacations (De Pelsmacker, et al., 2003). In this case, the Ego state of Adapted Child is in the dominant position (Fig. 4), because the emotional component is coordinated by a suitable impulse to proceed with a purchase. Given the fact that the alleged quadrant is not linked to a large operationalization of data, we can say that behind this Ego state there is the Concerned Parent. The process of the customer's response to marketing communication consists of the introspection of the “parent recordings” file, where experience value is stored. The third quadrant is related to ordinary everyday products, e. g. sugar, detergents, fuels for auto-mobiles, namely everyday products. The decision-making process requires a minimum of thinking and it is more or less routine (De Pelsmacker et al., 2003). The customer generally buys a product, and then assesses its merits and eventually forms his/her own opinion about it. This quadrant is associated with ,,routine" response to marketing communication, which, from the perspective of structural analysis, is based on the Parent Ego state (Fig. 5). The decision to proceed actively to purchase the product requires only activating the “parental recordings". Gathering information about the product or service is not connected with investing a great deal of effort. In the foreground there is an aspect of past experience with the particular category of products as well as precisely given criteria of a pragmatic rational nature, thus the Ego state of Adult enters the position of dominance in response to marketing communication. In the fourth quadrant behaviour can be expressed as: ,,Give yourself a little pleasure". It begins with the purchase, and is subsequently followed by the activation of sensational and sensual perceptions and ends with assembling information on the product itself. As already mentioned above, the last quadrant relates to the so-called products for joy, into which we can include for example non-alcoholic - alcoholic beverages, ice cream, and chocolate (De Pelsmacker et al., 2003). Response to marketing communication is, in this case, based on a Single Child Ego state (Pic. 6). Customer behaviour is highly impulsive. He/She wants to have personal experience with the promoted product or service as soon as possible, and so the decision-making process about the purchase shortens significantly. 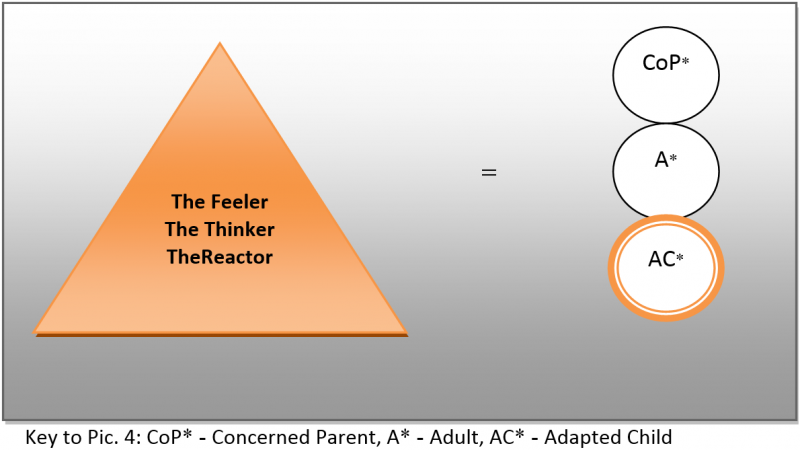 Rationalization linked to the collecting of objective information is minimized and thus the Ego state of Adult will occupy the third place in this quadrant. The Ego state of Concerned Parent will achieve a secondary position. The personality element of a Child will, by activating the process of comparison, interconnect its emotionality with positive “parental recordings", so the rate of impulsiveness will achieve a tending character. Vaughan (2000) draws attention to the dynamic nature of the model, since he assumes movement of the given product within the grid. Each of the quadrants mentioned is therefore subsequently interconnected with relevant marketing communication strategy. The model is, according to its author, the condensing of three decades of customer behaviour research in a practical design, and it works surprisingly well as support for the formation of communication activities. Also the fact that it includes verbal and visual aspects is important, and it opens a new path in the strategic planning for the greater market longevity of a unitary product. Customer response to marketing communication, with regards to the FCB model, will be complementarily interconnected with the mental state of Ego, which has already been discussed in the above mentioned structural analysis. By the comparative visualization of individual images (Pic. 3, Pic. 4, Pic. 5, Pic. 6) we have demonstrated the fact that the concept of a leading marketing strategy will consist of cognitive, conative and affective appeals according to the dominant position of the Parent, Adult, or Child in the target customer segment. The current form of modern marketing foresees an emphasis on the strategic importance of marketing communication. Awareness of the promoted products or services exists even in the minds of individual customer groups not only because of their experience with them, but mainly due to the long-term effects of the interaction stimuli. Traditional marketing models, with regards to the transition from mass to targeted marketing, which consists of a diversification from the unified addressing of all customers to the preferred market differentiation for segmental partialities, cannot relevantly represent the complexity as well as the heterogeneity of the current behaviour of singular customer groups. One of the ways to negate this fact, therefore seems to be a synthesis of interdisciplinarity of the functional approaches to marketing communication with a psychological focus, implying the general aspects of intra-psychic processes on a level of comprehensively understanding the personality and the interaction process itself. The main idea of this paper thus became pragmatism based on the assumption that at the operational level it is possible to find compatibility between the two approaches in the synergy of communicating the efficiency of central marketing message to the target segment by modifying the notion of communication models with regards to the mental components of a customer's personality with the intention of adequately fulfilling the marketing objectives. The focus was therefore on the aspiration to demonstrate how to apply transactional analysis application (TA) into the field of marketing research focused on linking the hierarchy of effects models of marketing communication and the structural analysis of TA. With this understanding of the interpretative framework, a deeper and more innovative insight is provided into the behaviour of target groups with regards to their mental level of personality structures. Author: Mgr. Ivana Polakevičová, PhD. BAČÍKOVÁ, Z., 2015. Segmentačný potenciál fenoménu priznaní na sociálnej sieti Facebook. In: Nové výzvy masmediálnej a marketingovej komunikácie IV. Nitra: UKF, s. 62-67, ISBN 978-80-558-0756-0. BERNE, E., 2012. Transakční analýza v psychoterapii. Brno: Emitos. ISBN 978-80-87171-33-2. BERNE, E., 2011. Jak si lidé hrají. Praha: Portál. ISBN 978-80-7367-992-7. COREY, G., 2007. Theory and Practice of Group Counseling. Belmont: Brooks Cole. ISBN 978-0-53464174-0. CRAMPHORN, S., 2006. How to use advertising to build brands – In search of the philosopher’s stone. 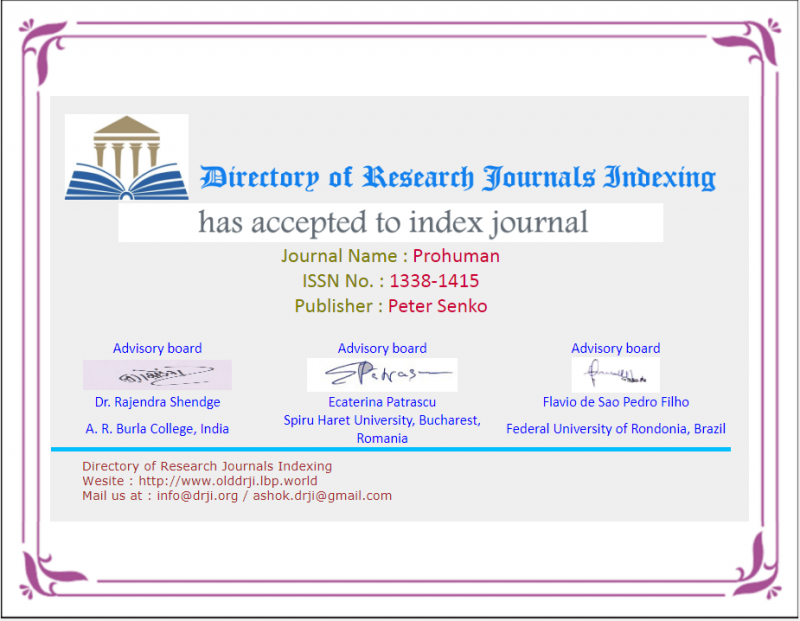 In: International Journal of Market Research. ISSN 1470-7853, 2006, vol. 48, no. 3, p. 225–276. DE PELSMACKER, P. ET AL., 2003. Marketingová komunikace. Praha: Grada. ISBN 80-247-0254-1. DESMOND MINH HOU, P. – STEWART, A. 2002. An exploratory investigation of attitude toward the website and the advertising hierarchy of effects. In: AusWeb02, the Web enabled global village : proceedings of AusWeb02, the eighth Australian World Wide Web Conference: Southern Cross University Queensland Australia, 2002. ISBN 18-63844-53-8, p. 620-631. FANDELOVÁ, E. - M. DŽUPINA, 2013. Rozhodovanie a psychológia rizika v sociálnych vedách. Nitra: UKF. ISBN 978-80-558-0231-2. FORET, M. - SVĚTLÍK, J. 2014. Marketing in International Territorial Studies. Brno : Mendel University, 2014. 140 p. ISBN 978-80-7375-863-9. HANNEKOM, J.- R. BARKER, 2009. The internal consumer response process: Towards an integrated conceptual model. In: Journal for Communication Theory and Research. ISSN 0250-0167, 2009, vol. 35, no. 1, p. 138 – 164. HARRIS, T., 1997. Já jsem ok, ty jsi ok. Praha: Pragma. ISBN 80-7205-508-9. HRADISKÁ, E. - E. LETOVANCOVÁ, 2005. Psychológia marketingovej komunikácie. Bratislava: Univerzita Komenského v Bratislave. ISBN 80-223-1952-X. JOUVE, M., 1992. La communication publicitaire, Approche stratégique. Paris: Bréal. ISBN 28-539-4597-9. JANKOVÁ, G. 2014. Analýza podnecovania tvorivosti a ich podoby v televíznej reklame. In: Analýza a výskum v marketingovej komunikácii. ISSN 1339-3715, 2014, vol. 2, no.2, p. 16-29. KIKOVÁ, H., 2014. Vnímanie CSR - genderové rozdiely. In: Nové výzvy masmediálnej a marketingovej komunikácie III. Nitra : UKF, 2014. ISBN 978-80-558-0576-4, s. 56-67. KOPRDA, T. 2015. Teoretické konštrukty spotrebiteľského správania v marketingovej komunikácii. In: Nové výzvy masmediálnej a marketingovej komunikácie IV. Nitra: UKF, s. 5-11, ISBN 978-80-558-0756-0. KOTLER, P. a K. L. KELLER, 2007. Marketing Management. Praha: Grada. ISBN 80-247-1359-4. KUBAĽAKOVÁ, D. 2015. Vplyv ekonomických faktorov na spotrebiteľské správanie. In: Nové výzvy masmediálnej a marketingovej komunikácie IV. Nitra: UKF, s. 68-73, ISBN 978-80-558-0756-0. LINCÉNYI, M. et al., 2011. Marketing. Trenčín: Trenčianska univerzita Alexandra Dubčeka v Trenčíne. ISBN 978-80-8075-514-0. MANDELÍKOVÁ, L. 2014. Sociokultúrne súvislosti jazyka. Trenčín : TnUAD, 148 s., ISBN 978-80-8075-636-9. NAGYOVÁ, Ľ., 1999. Sociálna komunikácia. Nitra: Slovenská poľnohospodárska univerzita – edičné stredisko SPU. ISBN 80-7137-438-5. SCHIFFMAN, L. – KANIK, L. 2004. Nákupní chování. Brno : Computer Press. ISBN 80-2510-094-4.
psychoterapie. Trenčín : Vydavateľstvo F, 2007. 573. ISBN 80-88952-36-0. VAUGHAN, R., 2000. How Advertising Works: A Planning Model. .. putting it all together. In: Advertising & Society Review. ISSN 1534-7311, 2000, vol. 1, no. 1, p. 151-186. YOO, CH.Y. a K. KIM a P. A. STOUT, 2004. Assessing the Effects of Animation in Online Banner Advertising: Hierarchy of Effects Model. 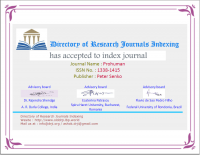 In: Journal of interactive advertising. ISSN 1525-2019, 2004, vol. 4, no. 2, p. 1-12. ZACHAROVSKÝ, M. - J. ŽILINČÍK, 1992. Ako lepšie porozumieť sebe a iným. Cesta k osobnému rozvoju a efektívnejšej medziľudskej komunikácii pomocou transakčnej analýzy. Martin: Matica Slovenská. ISBN 80-85415-19-4.